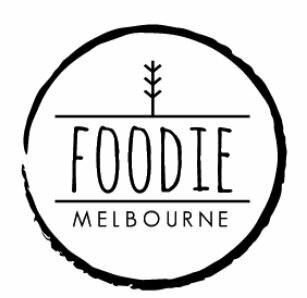 I get to try a lot of amazing food in Melbourne, and feel very privileged to be able to do so. As much as I love Melbourne though, it is fantastic to be able to escape every now and then to the Yarra Valley and be surrounded by rolling hills, far horizons, great wine and fabulous food. Mum and I headed to Tarrawarra Estate on a rainy, cold day and were comforted by delicious food, incredible service and some beautiful wines; not to mention the roaring open fire. 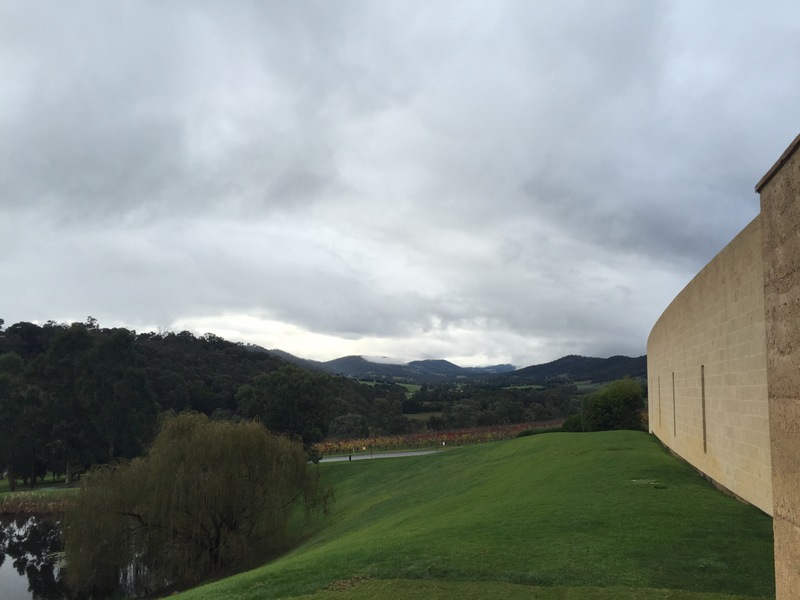 Tarrawarra has long been one of my favourite estates to take Melbourne visitors to for tastings when I do the mandatory tourist visit to Yarra Valley. From the long, grand driveway to the tree-lined paths, fantastic cellar door and beautiful sweeping views, not to mention the art gallery attached, it has plenty of appeal.The building itself is architectually stunning and photographs beautifully (check it out on Instagram to see what I mean). This was my first time being lucky enough to dine in the restaurant. Luckily, Mum is a sharer like me so we were able to try several dishes and the wait staff were quick to ensure we had share plates and could properly try everything. A side note to vegetarians- this is the winery for you! Both of the vegetarian options we tried were absolutely divine. 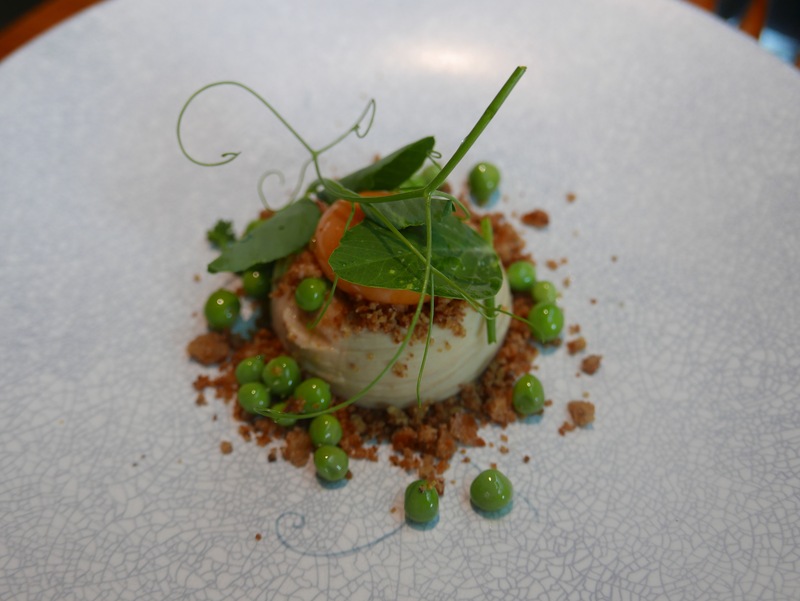 The soft yolk with roasted cauliflower, baby peas and rye was such a surprise, as what sounded quite simple was a complex and texturally exciting dish that the staff were very proud of. 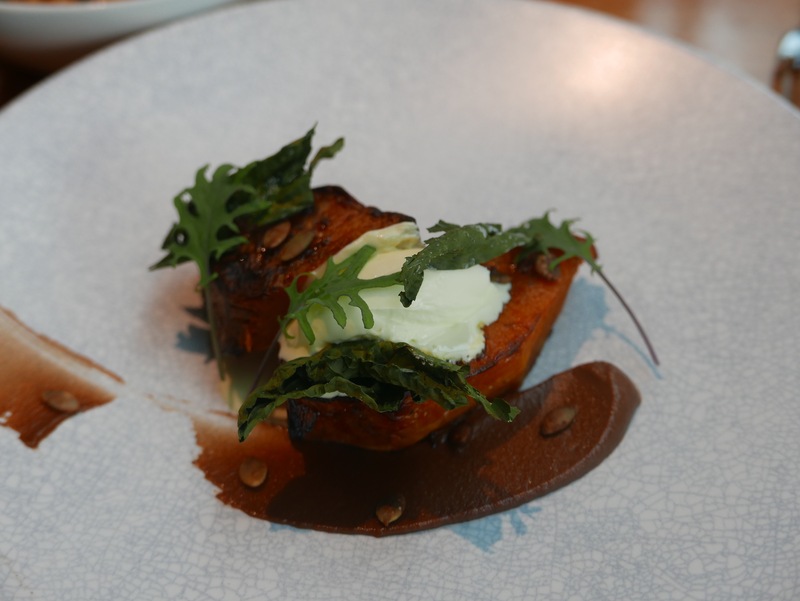 The salt baked pumpkin with pickled walnut, kale and creme fraiche was also a delight. Although not the most visually exciting dish, the veal tartare with spanner crab, warm potato and puffed tendon was a great starter, once again offering sophisticated textures and flavour combinations. 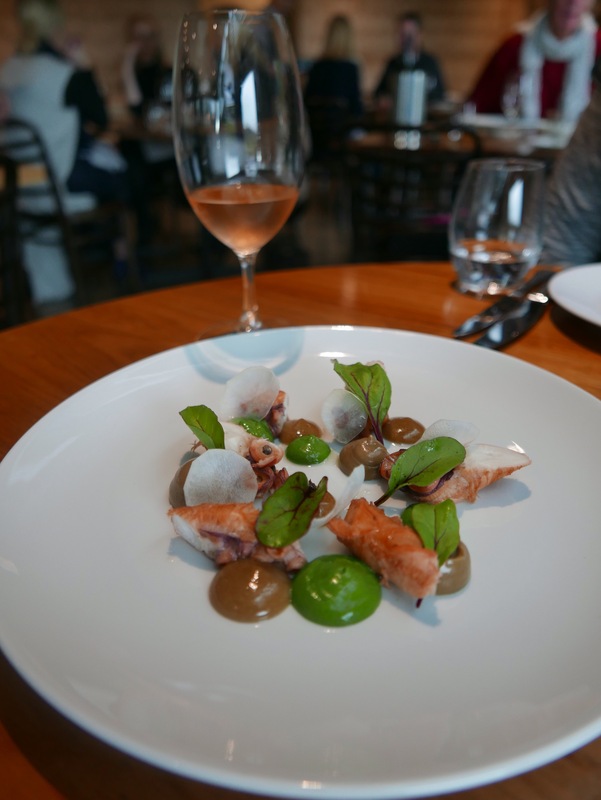 The octopus with artichoke, smoked garlic and parsley was soft, melt in your mouth and presented well. 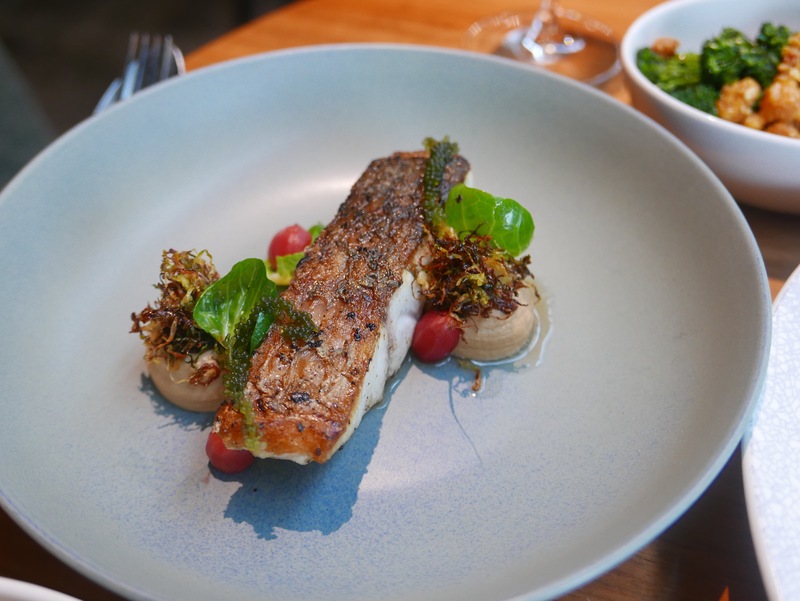 The barramundi with macadamia satay, sea grapes and fried sprouts was also cooked well, plated beautifully and a really interesting dish. We couldn’t go past the sides of charred broccolini and fried crushed potatoes. 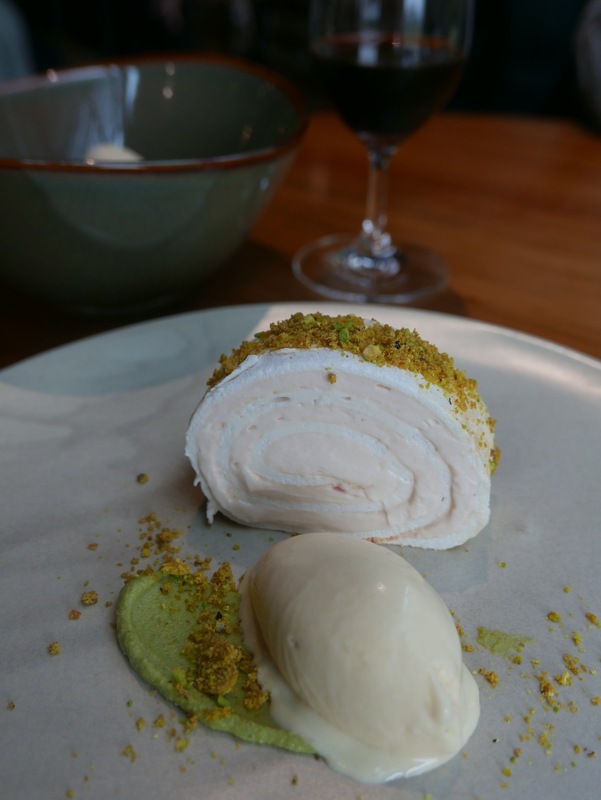 I have been dreaming about Tarrawarra’s desserts since my visit, in particular the absolutely gorgeous Turkish delight meringue with brioche ice cream, one of my favourite desserts I have had in a long time. 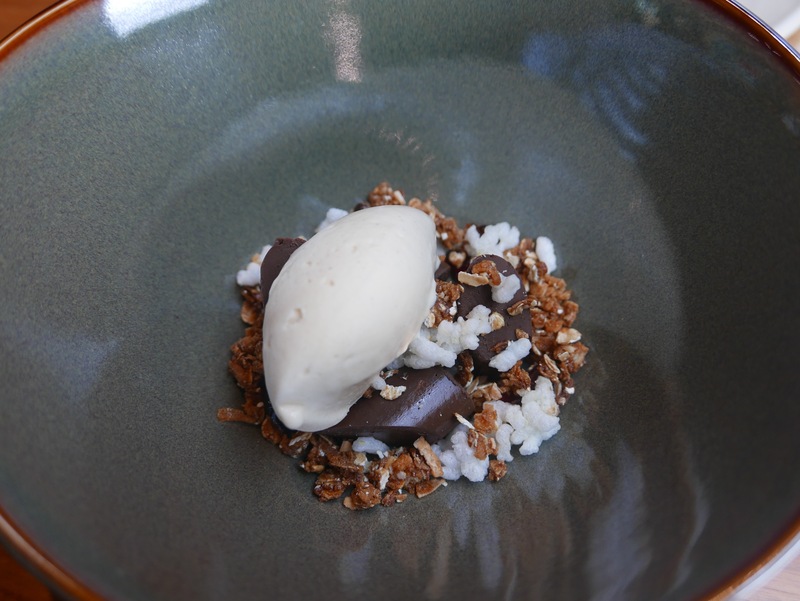 The chocolate with peanut butter and granola was rich and decadent, a chocoholic’s dream. We rolled out of Tarrawarra back into the cold like bears ready to go into hibernation; wined, dined and ready for a Sunday afternoon nap. I highly encourage Melbournian’s to stop whinging about the weather, rug up and head towards the hills… I promise a dining experience like this will quickly chase your Winter blues away. Please note: Foodie Melbourne dined here as a guest, however all opinions are authentic.